Today for your viewing pleasure, I have a beautiful flower I photographed on my land. For the life of me, I can't figure out what kind of flower it is! Check out that amazing leaf, where it's united in the center. Anyone know what this is? 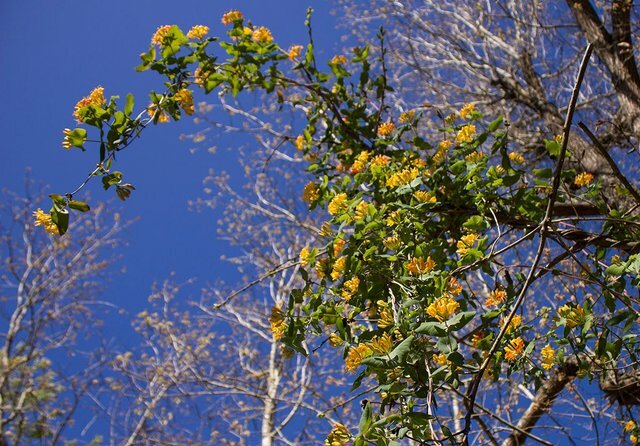 The golden beauty is coupled with a scent that is reminiscent of lilacs, and it thrives vining up neighboring trees. A beautiful addition to any landscaping, in my opinion. I've never seen it! I have no idea what that is. It looks like a totally awesome NATIVE honeysuckle!!! 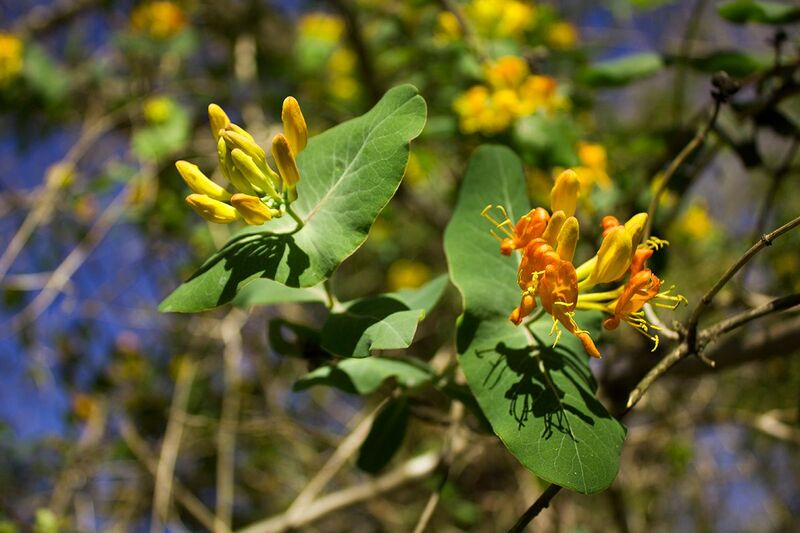 Unlike the unwanted, invasive Japanese honeysuckle, this one doesn't choke out everything it touches. It looks gorgeous!!! Thank you so much for pointing me in the right direction! It's growing right by our road. I was thinking of figuring out how to arch it over the top. Also wondering if these are easily propagated--they are beautiful. I, too, was going to suggest honeysuckle. Its fragrance is wonderful!